The “degree-days of heating” is used as a measure for how hard your unit has to work to keep your home at a set temperature. 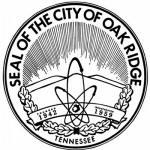 In Oak Ridge during December 2017, there were 591 degree days of heating—almost twice the number from November, the press release said. January’s numbers are even higher, according to the Oak Ridge Electric Department. Some believe that utilities charge more for the power needed this time of year. The cost of power can vary from month to month because of the price of the fuel that the Tennessee Valley Authority uses to create the power. The last few months, however, power rates have been very stable, the press release said. These higher bills will strain the budgets of many in the community, the press release said. Customers who would like to help can give to Project Safe, a program that uses monetary donations to offset utility bills for families in need. Project Safe is administered through ADFAC (Aid to Distressed Families of Appalachian Counties). Donations made through the Oak Ridge program stay in the community. Many energy saving tips can be found at www.energyright.com. Oak Ridge municipal utility customers are also encouraged to look at the e-Score program offered by TVA through the City of Oak Ridge. E-Score offers a free self-energy audit in addition to providing incentives for specific energy related improvements to the home. For other billing questions, customers can call the Oak Ridge Utility Business Office at (865) 425-3400.